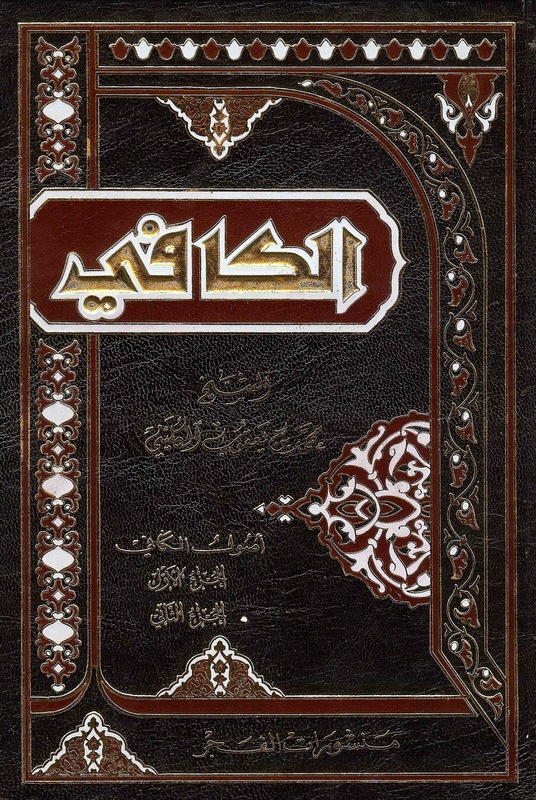 RevisitingTheSalaf: Did The Sheikhayn Repent Before They Died? Did The Sheikhayn Repent Before They Died? Hannan has narrated from his father from Abi Ja'far Imam Al-Baqir (a.s). He said, I asked him: "Were not the children of Ya'qoob (a.s) Prophets?" He said: 'No! But they were tribes of the children of Prophets (a.s), and they did not die till they repented and remembered what they had done, but the Al-Sheikhayn (i.e. Aboo Bakr and Umar) died and did not remember what they had done to commander of the faithful Imam Alee (a.s). So be upon them the condemnation of Allah (swt), His angels and all people!" 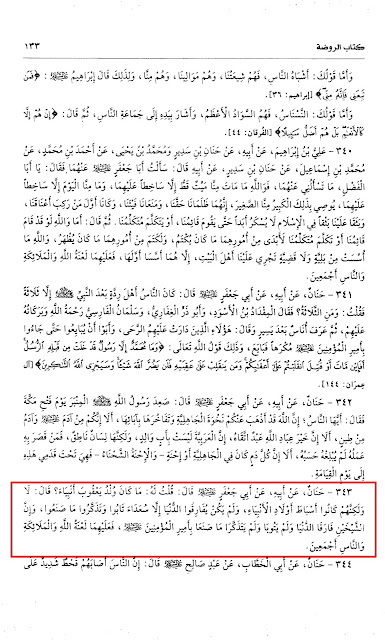 Footnote: Al-Majlisi II said this hadeeth is Muwaththaq (Reliable) in Mir’aat Al-`Uqool. Vol. 26, Pg. # 215. Note: There is difference of opinion concerning the reliability of 'Sadir ibn Hakim' and 'Ibraheem ibn Hashim'. But we shall endeavour to clear these misconceptions. "222 . إبراهيم بن هاشم: «أبو إسحاق القُمي، له كتب، أوّل من نشر حديث الكوفيين بقم»; قاله النجاشي. وقال الطوسي: «ذكروا انّه لقي الرضا ـ عليه السَّلام ـ ، وله كتب» ; وثّقه ابن طاووس وادعى الاتّفاق على وثاقته. وقد روى عنه في كامل الزيارات وتفسير القمي (ب6ح1)، وذكر في منتهى المقال (1/213) قرائن كثيرة في توثيقه ; وقال العلاّمة: «والأرجح قبول قوله». وتبلغ رواياته 6414 رواية في الكتب الأربعة، ولا يوجد في الرواة مثله في كثرة الرواية. أقول: بل هو فوق الثقة يعلم ممّا وصفوه به من الكلمات. لاحظ «كليات في علم الرجال»." Ibraheem ibn Hashim : Aboo Ishaq Al Qumi, he has some works, he was the first person to share the hadeeth of the kufis in Qum : Al Najashi & Tusi have said : He has met Imam Al Raza (a.s), & he has some books : Ibn Tawus has authenticated him & claimed that there is a consent about him being authentic. & he has narrated him in Kamil Al ziyarat and Tafsir al Qumi, (Vo.l 1, Pg. # 6) & also stated Muntaha Al Maqael (Vol. 1. Pg. # 213) many ways authenticating him. And the scholars have said accepting his sayings has more overweight [than not accepting ]. And he has narrated 6414 narrations in the four books, & there is nobody amongst the narrators that has the same number of narrations that he does. (I Say) he is even more than reliable and it is clear after their description of him. notice 'kuliyaat fi 'ilm alrijaal'. أصحاب الإجماع، وغيرهم. ذكره العلاّمة في القسم الأوّل، وقال الوحيد ـ رحمه الله ـ : «يظهر من الروايات كونه من أكابر الشيعة مضافاً إلى ما فيه من كثرة الرواية» ومدحه المجلسي في الوجيزة." Sadir ibn Hakim ibn Sahif Al Sairfi, his kunya (title) is Aba al Fadil, he is from Al Kufa & a companion of (Imams) Al Sajad, Al Baqir (a.s) & al-Saddiq (a.s), he was narrated in Kamil al Ziyarat (Vol. 7 Pg. 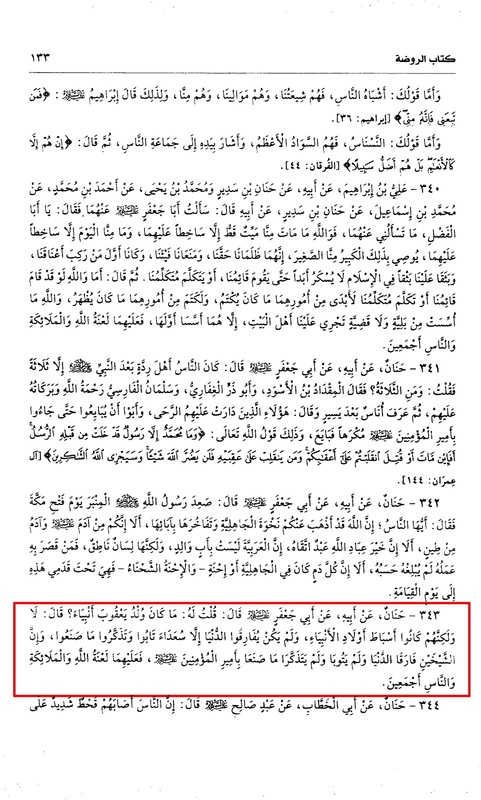 # 49) & Tafsir al Qumi , and Al Kaafi has narrated 84 hadeeth's of him, Al Kashi mentioned ome narrations praising him and others defaming him, Ibn Shahr Ashub counted him as one of the special companions of Al Saddiq (a.s),many trustworthy ones have narrated him such as Ibn Muskan,Fadil, Al Hassan ibn Mahbub and others. And the Allama (scholar) has mentioned him in the first part and Al Wahid (r.a) has said : It is clear from the narrations that he was one of the greatest Shiee in addition to the large number of narrations he had narrated. & Al Majlisi praised him in al Al Wajizah. Source: Al-Kafi. Vol. 1, Pg. # 133, H # 343.